When asked how she felt about receiving the award, she said she was proud of herself for doing something good at Mirima Dawang Woorlab-gerring. Jobeth Winton, the 2018 Young Leader of the Year! Jobeth is a fundamental part of a program that is delivering Miriwoong sessions to 400 children each week. 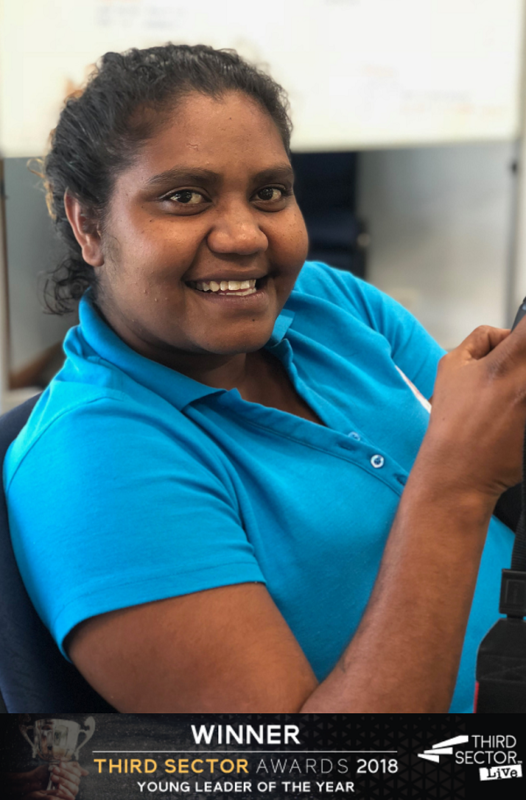 Each day, Jobeth and the team deliver Miriwoong sessions to children in primary schools and early learning centres throughout Kununurra. Her positive attitude shines through when she teaches, and the entire team contribute to the lives of children in a very special way. 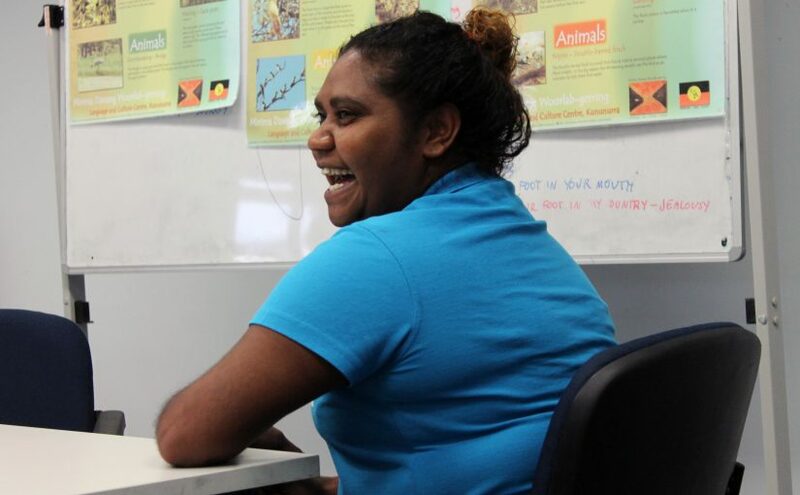 Jobeth says that leadership means being a role model to younger Miriwoong people and inspiring them to do something positive. She hopes that through being named ‘Young Leader of the Year’ she’s made someone think “if she can do it, I can do it”. She thanks the judges for selecting her, and Woolworths for sponsoring the award. From all of the MDWg team, congratulations Jobeth! We are so looking forward to see her continue to grow as a teacher and a leader. She received a lot of love on MDWg’s Facebook page for the award, check out the post here. Previous Previous post: MDWg receives an Australian Ethical Community Grant!